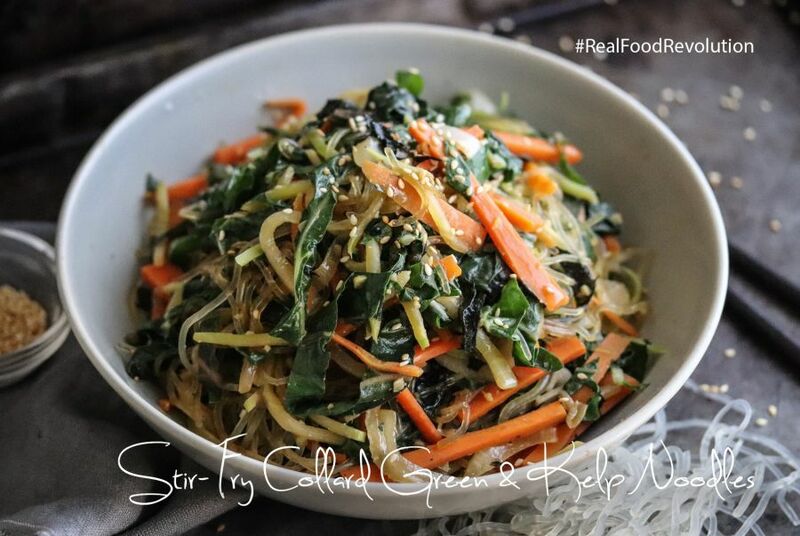 Rinse kelp noodles, then soak in water for about 30 minutes. Prep veggies, for the collard greens, remove stems, roll leaves, slice thinly to form strips. For the sauce, mix all ingredients, except the oil. In a large non-stick pan, pour in oil, add the carrots and broccoli stems on medium-high heat for about 1 minute, then add the sauce, throw in the onions and lastly the collard green (it will wilt quickly), sauté for about a minute or so until coated. Strain the kelp noodles, toss into the pan and sauté for another 2 minutes rotating with tongs until fully coated with sauce. Top with seaweed strips and toasted sesame seeds, enjoy!